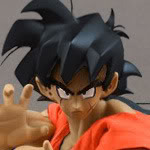 Bluefin made a post over on Facebook linking to Toyark, which has very detailed photos and info of all the DBZ S.H. Figuart figures released so far. I shared that on DBF's Facebook page yesterday, it's a great web page!